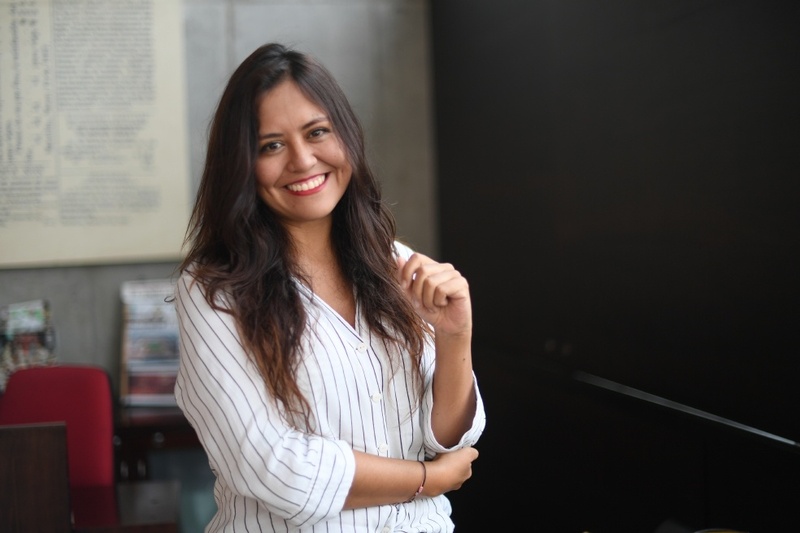 The founder of Niñas Sin Miedo talks about how her social organization seeks to empower girls in Colombia to prevent sexual assault and unwanted pregnancies. A young woman, 30 years old, who leads a social organization called Girls Without Fear. I am an activist, feminist and bicycle lover. And what is Girls Without Fear? A social organization that seeks to offer tools to girls and adolescents for the prevention of sexual violence and unwanted pregnancy, providing them with a space outside the school and the family so that they can learn to be strong and courageous. What does the bicycle have to do with it? The bicycle has been a very important tool for women and in our case it is our strength. It allows us to connect the body and the mind. For the girl in her puberty and childhood, learning to ride a bike allows her to believe in herself, to feel more confident about the possibilities she has in life, because the bike is like life: you fall and get up. All this work includes the family. What is done with it? The family is one of the most dangerous spaces for girls in Colombia. It is where sexual abuse most occurs and it is a space where we are looking for them to understand what those limits are and what those possibilities are, so that the girls can speak at the moment they feel coerced or feel that something is not right. We speak of consent, sexual and reproductive rights, we open a dialogue space to talk about unwanted pregnancy and sexual violence. If empowering a person allows reducing poverty, inequality, what have you achieved with Girls Without Fear? Putting this conversation on the table, the conversation about the girls, about how many times we have been silent. We cannot talk about sexuality, about sexual and reproductive rights, about contraception, because nowadays it has been a taboo, so I think the greatest satisfaction, what we are leaving is making a silent revolution about the rights of girls in communities. where today it is still forbidden to talk about these issues. How does Girls Without Fear face sexual violence? The first thing we do is talk about consent, which is a word that many of us do not understand today, that we do not know how to say no, and facing sexual violence from Girls Without Fear is to teach a girl what the limits are, when to ask for help, how to grow stronger and have enough tools to face the things that come when you are a woman in a country like Colombia. You promote leadership and teamwork. What do you do and how? We have developed an impact model that allows girls to understand, through the bicycle and educational tools, that they can believe in themselves and learn about the rights of those who do not speak to them in their schools and families. We do it through the game, through a training where girls learn different tools. Who is part of the team that works with Girls Without Fear? We are a multidisciplinary group of young people, women and men trained in different disciplines: lawyers, artists, biologists who believe that the generation of girls needs a change, understanding things that we may not have understood when we were little. What is a day of Girls Without Fear like? On Saturday we got up at 6:00 am, we set up an appointment in Unisur, in San Mateo, to go up to Ciudadela Sucre, which is the commune 4 of Soacha. The girls are waiting for us. We are 18 volunteers who arrived there, we developed workshops with them, we divided into groups of bicimentores and education, and we do the workshops to finish with the reflection of the day, leave a mark on them and let them express all they have as agents of change. What has happened to the girls you have trained? After having bet on them we have seen that they perceive the world differently and have broken different gender stereotypes, they are more aware of their role as women and leaders within their community. They already have an experience with companies. What is it about? Companies are one of the main actors for us, because they have believed in this idea both in the pilot project and with the movement that we are today, contributing from their social responsibility capital, their corporate volunteering and also with specific projects. How are you financed? What do the talks have to do with it? We must not only stay in what we do in the community, we must reach others, so we offer talks to companies, to schools, we do empowerment meetings for girls, and we have the idea of making a country of girls free of fear. We give tips on prevention of sexual violence and consent, for example. How many people have you managed to impact since you started? There are 65 girls from Ciudadela Sucre who have gone through the program and 60 girls from Bogotá from different locations. Generating a movement for the girls. The revolution is not ours, it is from them, where all these stereotypes and taboos that have marked us for many generations are broken and that female force can shine in the coming years in Colombia. You talk about equality and gender equity. What do you do there? Equality is one of our most important pillars. We believe that girls do not have the same opportunities as boys and are in a difficult situation in public spaces, access to education, even inside homes, because they are forced to work. That struggle for equality begins by generating awareness in them so that we can create awareness in all of us who are helping these girls grow. How could this project be scaled up so that the country can take it to other places beyond where you are operating? Climbing is part of our dream. This is needed in many regions of the country: talking about this in Chocó, in Amazonas, is needed, and part of that is in the citizens, in support for our cause, in the public sector and private sector, to reach more regions. We must have many actors. How long ago was it born? In 2015, with my concern to do something for Colombia, and it had to do with me because it had to do with my personal history, with that struggle to be able to heal wounds also with issues of sexual violence and to generate a change with the first 11 girls and then with a movement for other people to join this idea of Girls Without Fear.